Indulge in the epitome of luxury train travel with a day trip on The Belmond British Pullman for two to the gorgeous seaside town of Folkestone. Leaving from London Victoria this train is opulently art deco in style and has carriages dating back to the 1920s and 1930s. The famous liveried stewards serve brunch and Bellini as the train departs and glides smoothly along the Kent coast. Upon arrival at Folkestone, board a coach for a guided transfer to 'The Leas'. Explore the town, take a stroll along the clifftop promenade and see artworks by Tracey Emin and other contemporary artists. 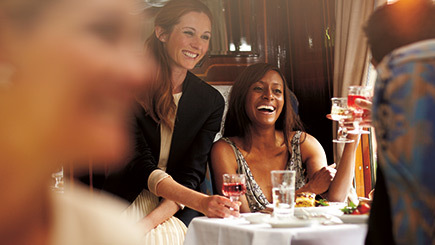 Back on board The Belmond British Pullman, dine on a sumptuous afternoon tea with a glass of English sparkling wine for the journey home. Includes brunch - and afternoon tea on the way back!